The Lumia 430 is reliable and easy to use, it gets the latest software updates and comes with the essential Microsoft services; Skype, Office and OneDrive, all built in and free to use. Lumia 430 comes with a fully-integrated Skype experience that lets you upgrade a regular phone call to a Skype video call, you can also receive a Skype call anytime. Microsoft Lumia 430 is built to last, has a compact shape that feels solid in the hand and a polycarbonate shell that is tough enough for whatever comes your way. 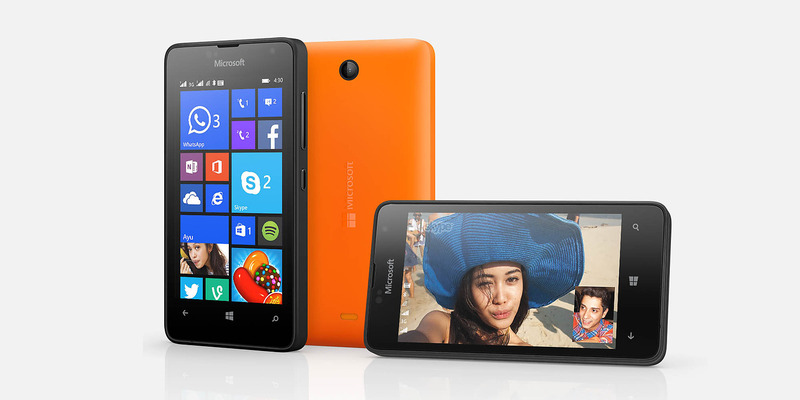 The Microsoft Lumia 430 is powered by 1.2GHz dual-core Qualcomm Snapdragon 200 processor and it comes with 1GB of RAM.